Yulong Computer Telecommunication Scientific (Shenzhen) Co Ltd, a division of Chinese smartphone manufacturer Coolpad, has filed a patent infringement suit against three units of Xiaomi. The suit alleges that Xiaomi Telecom Technology Co Ltd, Xiaomi Technology Co Ltd and Xiaomi Factory Co Ltd used Yulong's intellectual property without authorization. 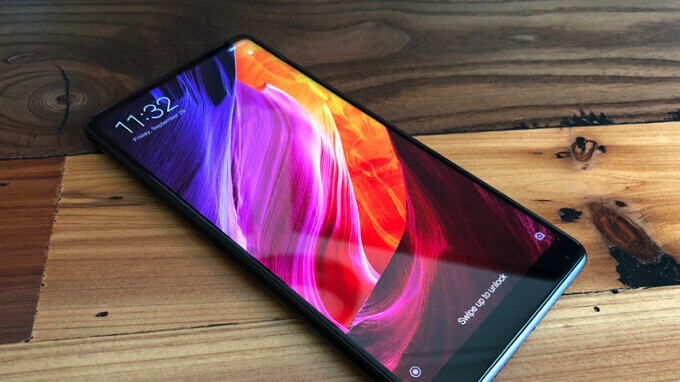 In the suit, which was filed with a court in Jiangsu province, Coolpad asked for production to immediately cease on several Xiaomi models including the Mi Mix 2s (seen in the picture at the top of this story). The lawsuit alleges that Xiaomi illegally used Coolpad's patented multi SIM card design, and certain technology that relates to the UI, on some Xiaomi handsets. While no figure was given, Coolpad is seeking to be compensated for losses it suffered due to the claimed patent infringement. In January, Coolpad filed a similar lawsuit against Xiaomi in a Shenzhen court; Xiaomi has asked the patent authorities in the country to revoke all of Coolpad's patents that deal with the case in Shenzhen. Coolpad, once part of the LeEco empire, was sold off in January because of its parent's weak financial condition. Due to an audit, the company just released its 2016 annual report which showed a loss of $4.38 billion HKD ($558 million USD) vs. a profit of $2.32 billion HKD ($295.5 million USD) the year before. Some have questioned the timing of Coolpad's suit, which comes a week and a half after Xiaomi filed for the largest IPO in the last four years. With the pressure on for Xiaomi to complete the offering, Coolpad might have felt that it has a better shot to work out a huge settlement in its favor by filing just before Xiaomi goes public. Nothing will likely become of this. I think Coolpad is just grasping at straw. A drowning company just like Gionee, leEco etc. how can a company make a phone without getting sued?